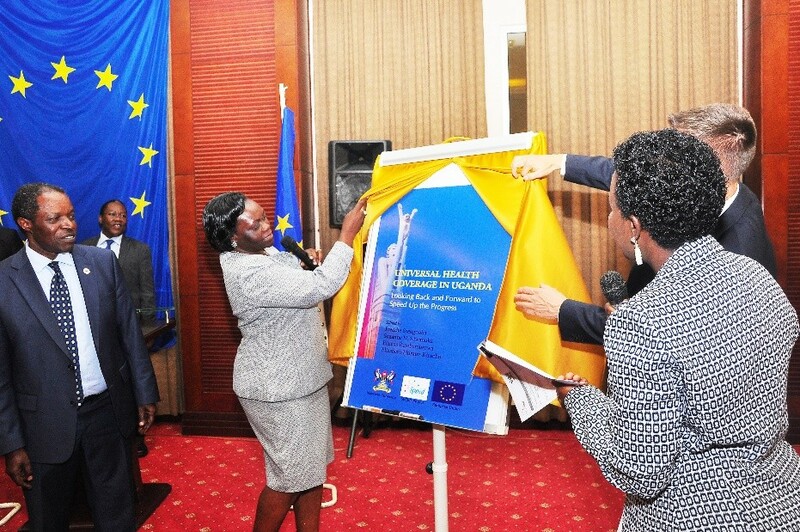 The Makerere University School of Public Health, through the European Union (EU) funded SPEED project, has launched a book on universal health coverage in Uganda. 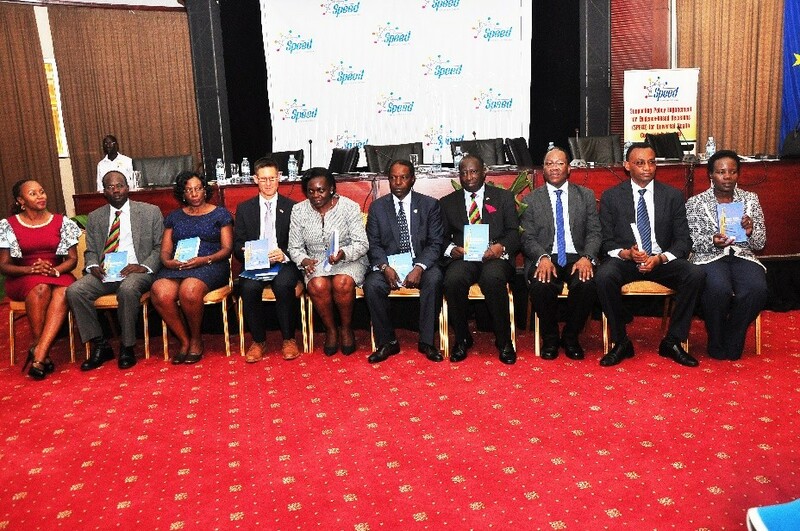 The book, titled “Universal Health Coverage in Uganda- Looking Back and Forward to Speed up the Progress”, captures the status of Universal Health Coverage (UHC) readiness and generates policy advice, cognizant of the health sector developments in the last 10 to 15 years. It is a documentation of the experiences and learning from past successes and challenges as a means to support health policy and systems developments for UHC agenda in Uganda and beyond. 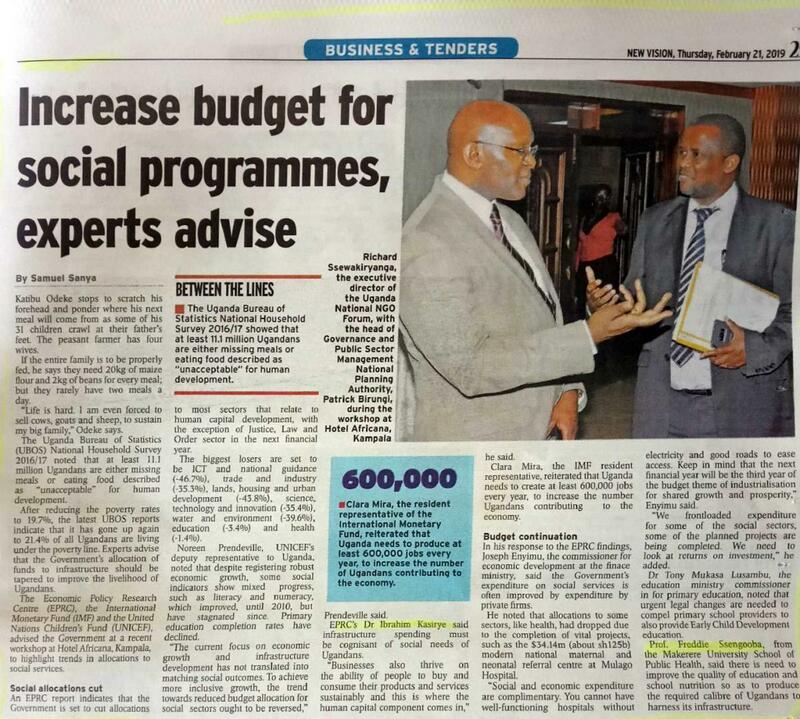 SPEED is a 3.1 Million Euro project is implemented since 2015 by a number of Ugandan institutions in partnership with institutions from Belgium and South Africa (see details below) with the main aim of building capacity in policy advice, influence and analysis at the School of Public Health. 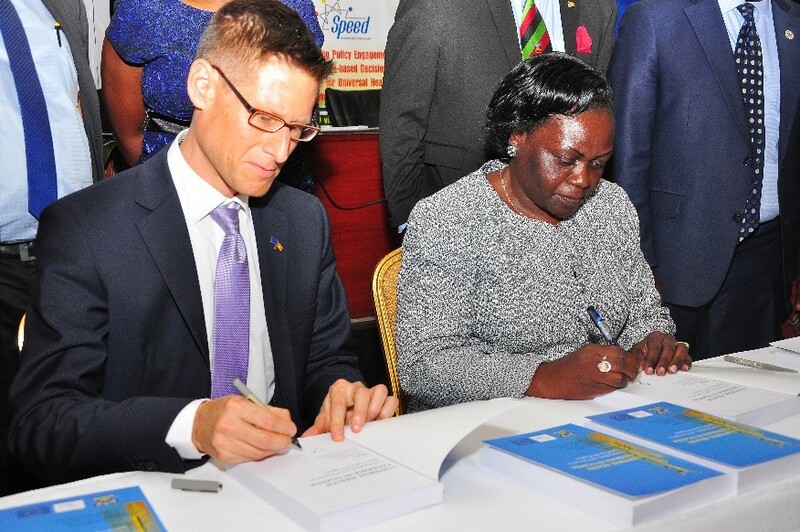 Presiding over the book launch ceremony at the Serena Hotel in Kampala, in a speech read for her by Minister of State for Primary Healthcare, Sarah Opendi, the Minister of Health, Dr. Jane Ruth Aceng, emphasised that the “book provides an in-depth understanding of the policy trade-offs, especially in resource-constrained countries like Uganda. Among others, the book provides useful advice on how to expand the fiscal space for health while leveraging health benefits from other sectors of the economy, and ways to manage the rapidly growing population and the health needs thereof”. In her own words, Minister Opendi urged her technical team in the Ministry of Health to read the book thoroughly, utilise it and ask for more support from the SPEED team at Makerere University, where needed. “WE need to utilise the expertise at the School of Public Health for policy analysis and advice. We need to know how to implement the wonderful ideas in the book and other literature available”, she emphasised. 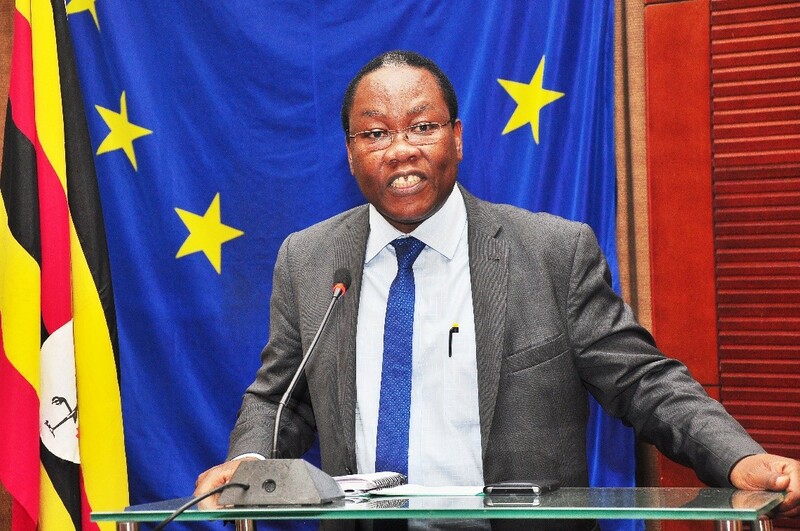 Minister Opendi also shared that the European Union has in the recent past urged the Government of Uganda to commit 1% of the national budget to research. This was in response to Professor William Bazeyo’s call to the Ministry of Health to partner with Makerere University by providing financial support for health research. She however reported, this has not yet been implemented by government. 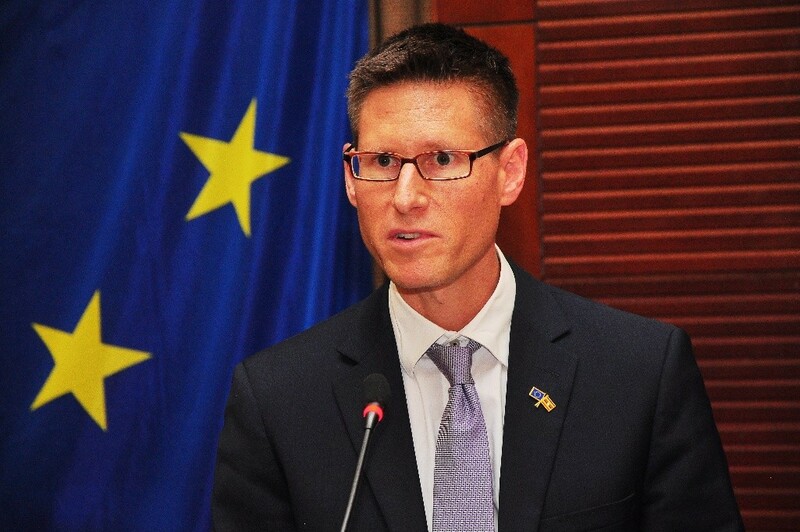 Mr. Thomas Tiedemann, the EU acting Head of Cooperation in Uganda, said that “The European Union has for long been supporting Uganda in her pursuit of development objectives. While we may be most known for our support to agriculture, transport infrastructure, green economy and governance projects, we also have a couple of gems in other sectors: and SPEED is such a gem”. 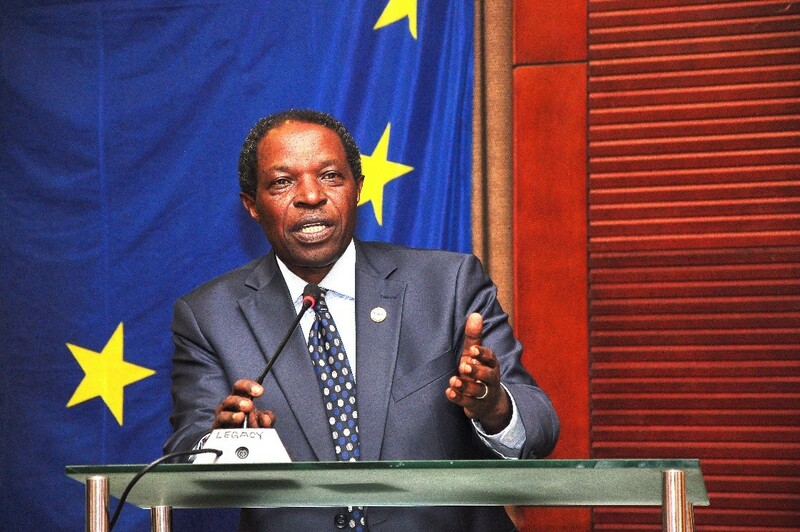 Speaking on behalf also of the EU Members States, he confirmed the EU commitment to playing its role in international efforts to make UHC attainable in Uganda. 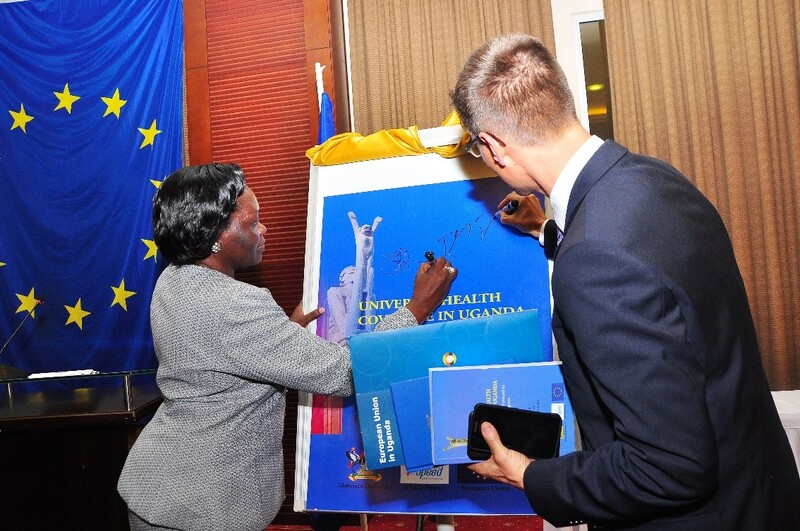 “This book launch, which takes place as we prepare to celebrate Europe Day next week, marks an important mile-stone in rallying stakeholder efforts towards advancement of the UHC agenda not only in Uganda but also in many other developing nations” he stated. The Deputy Vice Chancellor (Finance and Administration), Professor William Bazeyo, made promises on behalf of the University “I want to promise that as a University, we are committed and well-positioned to spearhead the knowledge generation aspect of advancing the universal health coverage agenda in Uganda and the region, broadly”. He urged the Ministry of Health to support the University in funding research. “Makerere University is now No.2 in research in Africa despite all its problems. 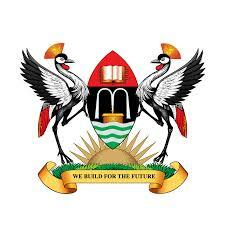 The College of Health Sciences contributes approximately 80% of research in Makerere University. 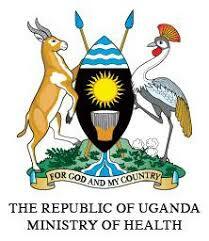 If the Ministry of Health puts in only a small piece, the College of Health Sciences would be the best on the continent. We need to move from donor-dependence on research funding”, he shared. The Principal, Makerere University College of Health Sciences, Professor Charles Ibingira noted that Universal health coverage is a big and complex partnership. “This is one area where the health sector cannot go it alone. We have to work together to advance the universal health coverage agenda. Looking at the list of contributors to this book gives me confidence that we are in the right direction; there are individuals from various sectors and disciplines”. In a speech read for her by the Deputy Dean, Professor Christopher Garimoi Orach, the Dean, Makerere University School of Public Health, Associate Professor Rhoda Wanyenze noted that the book is an engagement product by the school to reach out to policy actors in Uganda and in the region. She also committed that the School of Public Health is well-positioned to provide the necessary evidence for universal health coverage policy. “I want to thank the SPEED team for bringing us together again to celebrate yet another milestone on one of the most critical health policy issues currently; universal health coverage. Ensuring universal health coverage in a low income setting can be a grand challenge, but at the School of Public Health, we are ready to make our contribution”. SPEED Director, Associate Professor Freddie Ssengooba could not hide his immense excitement about the production of the book. “This has been a long journey for the team and partners that came on board to support this work. Today is therefore a celebration for all of us. But most important, we want to keenly see that the knowledge in the book is put to use in UHC policy formulation. ”. Professor Ssengooba noted that universal health coverage is a new mission that requires local thinking by experts from different sectors. He noted that the book is a customisation of lessons learnt over the years in the health sector; lessons in the past, ideas and opportunities that do exist. The book ‘Universal Health Coverage in Uganda: Looking Back and Forward to speed up Progress’ has several important messages that should be considered in the advancement of universal health coverage. Health should be seen and planned for in a much broader sense than healthcare. There is need to focus on determinants of health (water, nutrition, poverty, education, road safety) through ‘Health in All Policies’ strategy. UHC requires strong governance, therefore priority setting is central and critical choices must be made transparently and should be evidence-informed. Quality assurance is a technical process, therefore requires creating level playing field, and should not be compromised by political or financial arguments. Implementation of universal health coverage is a decentralised process, with optimal community participation and with incentives for achieving results. Multilevel and multi-sectoral collaboration is a continually negotiated process but critical to sustain a shared national vision for universal health coverage. The launch ceremony was attended by stakeholders from different sectors including energy, health, natural resources, gender, education, transport, among others. The European Union (EU) is a political and economic union of 28 Member States. They decided to link together their know-how, resources and destinies. Together, they have built a zone of stability, democracy and sustainable development whilst maintaining cultural diversity, tolerance and individual freedoms. The EU is committed to sharing its achievements and values with countries and peoples beyond its borders. And in fact, over half of all development aid comes from the EU and its Member States, making them collectively the world’s largest aid donor. Most aid goes to low-income and least developed countries.